The actor Sawamura Tanosuke II held the name of Sawamura Tetsunosuke I from the 1st lunar month of 1793 to the 10th lunar month of 1801. Dates of birth and death unknown. 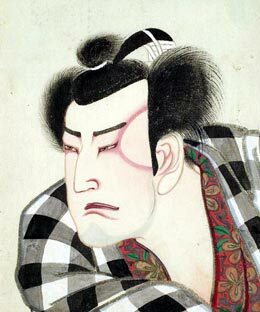 The name of Sawamura Tetsunosuke II was recorded for the first time in the 11th lunar month of 1828 in Edo at the Ichimuraza and for the last time in the 11th month of 1834 in Kyôto at the Minamigawa no Shibai. He was a minor wakaonnagata actor. Born in 1896. 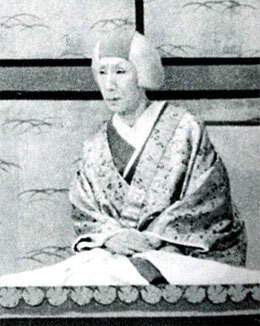 Disciple of Sawamura Sôjûrô VII, his first stage name was Sawamura Kanjirô. He took the name of Sawamura Tetsunosuke III in October 1918 at the Imperial Theater. The day of his death was not recorded. He was most likely the adoptive father of Sawamura Tetsunosuke IV. Born the 17th of January 1888. His first stage name was Sawamura Kotetsu. He made his debut on stage either in 1902 or 1904. He took the names of Sawamura Hyakunosuke III in May 1906 and Sawamura Tetsunosuke IV in January 1943, both times in Tôkyô at the Kabukiza. He was active in koshibai during his Hyakunosuke years, performing major roles like Michitose in "Naozamurai" or Koito in "Edo Sodachi Omatsuri Sashichi". He performed in ôshibai when he became the 4th Tetsunosuke. He was a member of a troupe of young actors performing at the Mitsukoshi Gekijô from 1945. He had the opportunity to play important roles like Satsuki in "Ehon Taikôki", Gappô's wife in "Gappô" or Osugi in "Yagura no Oshichi". He was excellent in sewa nyôbô roles. He died the 27th of October 1959. The actor Sawamura Tetsunosuke V held this name from August 1996 to March 2012.